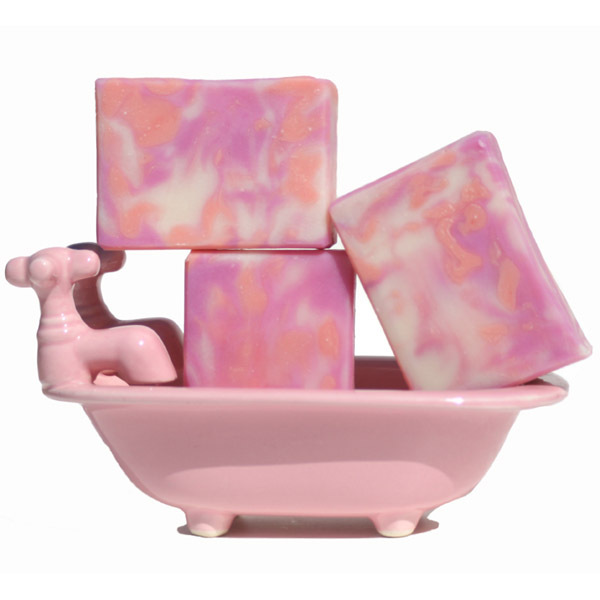 Aura Bliss Floral Handmade Soap with Lavender, Purple and pink swirls is a cold process soap that was made from scratch. I use natural soapmaking oils and butters like olive, coconut, palm kernel, mango butter and beeswax. Olive oil has been used for centuries as a natural moisturizer for hair and skin care. The oil is pressed from ripe olives. There are grades of olive oil like virgin olive oil, regular olive and pomace. For my soaps, I use either the virgin or the regular in pretty high amounts. I do not use pomace as it makes my formula accelerate trace. Olive oil in soaps adds nice hydrating qualities. Coconut oil is a wonderful ingredient in soaps as it add bubbles to the recipe. It comes from the meat of mature coconuts harvested from coconut trees. I have coconut trees practically in my back yard, but getting the actual oil out of the coconut is a time consuming and laborious process if I did it myself. I do support my local businesses whenever possible. Beeswax for my handmade soaps is lightly refined. The beeswax has a wonderful smell of honey. Natural beeswax is filtered by putting it in boiling water, straining it, then letting it cool off. Small time beekeepers pour the beeswax into small molds, so it's easier for me to use. Mango Butter comes from the kernels of the mango tree. It makes an excellent emmolient in soap, skin care and body care. It is also used in lip balms. Mango butter has anti-oxidants and vitamins like A, C and E. It is beneficial in its natural state for dry skin. Mango Butter is normally solid at room temperature, but melts easily on contact with the skin. All of my handmade soaps are made from scratch with a recipe that's similar to the one that my mother and grandmother used. I can proudly say that I make my soaps in the grand old European tradition but with a modern twist. Each soap batch is cured for about six weeks. The castile (pure olive oil) soap is cured for much longer. This makes my soaps mild and gentle. They can be used as body soaps and are safe to use as facial bars.